Australia has a large network of new and used truck dealers, and once you have a clear idea on the specifications of the truck you are purchasing you will probably be wondering how to choose the best truck dealer for you. It is crucial to choose a truck dealer that you are comfortable dealing with, and who is reliable and fast in returning your calls, quote requests, and on-line enquiries. A dependable truck dealer will respond quickly and accurately without pushing you in a single direction, and will try to understand exactly what you are looking for in a new and used truck. They will be able to supply you with detailed specifications of the truck you want to purchase, and be evident in disclosing a used truck's full history. 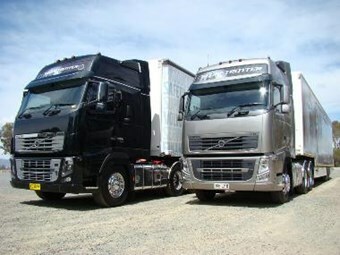 Lists of new and used truck dealers by state and territory including Melbourne, Sydney and Perth are available on-line, containing truck dealers for the more established truck brands such as Hino, Mitsubishi, Isuzu, Volvo, Mack and Iveco.